Lukas - Du kannst mit mir ruhig deutsch schreiben, es geht hier im threat halt nur um unsere englischen Spieler, deshalb in englisch, damit die auch die Probleme verstehen. Dir fehlen Soundfiles, kannst Du Dir das neueste Ostfront mit HGN, HGM, HGS und Götterdämmerung (...panzercorps_addon_ostfront_4.1 mit 567.704kB) bei mir dann mit PC Version 1.20 vom 29.May 2013 herunterladen. Da müssten dann alle Files dabeisein. Du kannst mit Deinen alten Spielständen weiterspielen. You are missing soundfiles, so download the newest version of ostfront and hopefully you got alle the missing .wav-files. Entschuldigung Ulrich. Dachte das man hier nur rein Englisch schreiben müsste/sollte weil es der Englisch Thread ist. Wo soll ich es herunterladen ? Hier im Forum ? Weil du sagtest ja "kannst Du Dir das neueste Ostfront mit HGN, HGM, HGS und Götterdämmerung (...panzercorps_addon_ostfront_4.1 mit 567.704kB) bei mir dann mit PC Version 1.20 vom 29.May 2013 herunterladen.". Lukas - mit dem Englisch hast Du schon Recht, soll ja auch für Engländer lesbar sein. Den Download findest Du direkt über der Foren-Übersicht Panzer Korps Ostfront 4.0 DOWNLOAD zwischen den roten Texten. Falls es hier nicht geht müsste es den auch noch bei DMP geben. Die Version 1.20 gibt es über das Update von Panzercorps, dort werden einige Dateien aktualisiert. Aus deinem Original PanzerCorps 1.20 in den Ordner Ostfront oder wie auch immer Dein Ostfront-Ordner heisst. Starte hier die PanzerCorps.exe bzw. lege Dir eine Verknüpfung (Icon) der EXE auf den Desktop. Habs bei der Forenübersicht gedownloadet und wie beschrieben installiert nur fehlt dort auch wieder von manchen Einheiten die Soundfiles, kein Intro, keine Menümusik und keine Sprecher bei den Briefings. Was soll ich jetzt machen ? Ist der Download so groß wie oben beschrieben? Sonst mal bei DMP runterladen. Hier sind die wav Dateien aufgelistet. Nein der Download ist kleiner hier. Habe es ja auch von DMP gedownloadet aber da waren die besagten Fehler. Liegt es vielleicht daran das ich es nicht über VLC mache so wie es bei dir auf den Screenshots angezeigt wird ? Ich hatte es vor einem Jahr von DMP, weil hier mein Download zu langsam (2000-Leitung) war und mittendrin abbrach. Mit VLC hat das nix zu tun, ist nur mein Ausgabeprogramm für Sounds. Ich versuche nochmal hier beim Service jemanden zu kriegen der den Download überprüft. I usually post on Slitherine's forum but someone named Fsx advised me to post here. So I copy paste my remarks about your awesome mod. I am playing the game (Ostfront 4.11 + Mius Patch) using Slitherine's patch 1.20. Does it bring something to use version 1.22 ? Where can I find this ? Heeresgruppe Mitte: Brest-Litowsk, Pripjetsuempfe, Bialystok und Minsk, Witebsk, Dnjepr, Jelnjabogen, Smolensk, Roslawl und Gomel, Wjasma und Brjansk, Istra und Lobnja, Gegenoffeinsive Istra, Kalinin-Rschew, Winterstellung, Rschew-Olenino, Schlacht bei Sytschowka, Unternehmen Seydlitz, Operation Mars, Bueffelbewegung, Bereit machen, Volokolamsk, Istra –Lobnaja, Der Kessel, Fall von Moskau and Stalin. And for the 3 other campaigns ? When you click on the "Fallschirmjäger with canon" infantry unit, the picture is popped up unlike any other pictures. The picture appears of the box during an infinite amount of time. I see. The update of 1.20 at the end of the work destroyed some changes. If you purchase the Nebenwerfer 1941 then you do not have any transport (in your mod transports are pre-attached for arty units). Normally the transport is attached to the unit but here the unit was not able to move because no transport attached by default. Is it wished on purpose ? Is there a clue to win this scenario ? The way the map has been designed is strange. There are 40 turns, at turn nr 15 I still do not know where to move my units!!! Scenario "Wjasma und Brjansk": This must be this scenario since it is the one just before Istra und Lobnja: there is a mission to capture a NKVD commissar and to bring him to SMolensk airfield, 2 paratrooper units are given to the player, but what for ? I never managed to locate this Party guy. There are NKVD units everywhere around the map. This goel to get a BV remains a mystery to me. Could you clarify ? Please, look at my animated battlemap at briefing. You will see the unit and his position on map. I have forgotten the name of the scenario but in the victory message you mention that "J Stalin's three children has been captured". You should have written "J Stalin's third child has been captured". It is just sad the ship I acquired in Sevastopol is nearly of no use during the whole campaign afterwards. It was hard during "Operation Uranus" to "work" only with poor AUX forces (Romanians, Italians and Hungarians). I was close to defeat (without my CORE forces). Stupid question: why can't the player import all his units from the end of Group Army Centre, North or South at the beginning of Kharkov in Götterdämmerung campaign ? It would be like the Vanilla Panzer Corps campaigns, ending a campaign allows the import of units to the next campaign (1941-43 for Cenbtre-South-North leading to 43-45 Götterdämmerung). NB: yes, even if you capture Stalin after the fall of Moscow you can imagine the rest of the war from Kharkov in 1943. The idea was just the ability not the obligation to use units from a 41 campaign to a 43 campaign. After a decisive victory in Baku is there another scenario ? Sound and graphism (units and maps) are excellent! Next version should just get rid of the rare spelling mistakes. BTW I never managed to use the special transport features (canoe) of Marine Commando infantry units, is it mandatory for some specific scenarios ? Does it require rivers only to work ? I had the same problem with Sturmpionere unit. Awesome work! For me the best mod to Panzer Corps (I tried DMP Afrika Korps which is great too and unkluckily the DMP Pazifik Korps version 1.0 was full of bugs, maybe the new version is better now). It would be a great idea to play those campaigns (using same graphism) from the Soviet side too but I know this is then another mod with a lot of work. Do you plan to launch a new version of the mod with spelling mistakes corrected + Mius patch fully integrated ? Your mod is really excellent work! I finished Group Army Center and South. In the 2nd scenario (just before Riga) there are two airfields (red and white bars) without flags separated by a hex with a Soviet flag named Sowiietische Flugfeld (Russian airfield) but here without red & white bars. Location is in the South east (below at the extreme right of the map). I kept my Me109 there believing I could resupply it and I lost it. Your airfields without flags are not working and your standard hex with flag which is not an airfield is not working (this is more logic). The fact yopu name this hex airfield is not logic. So I lost a plane because the airfield system was illogic and not working. I think this deserves an update for your next version of Ostfront. I preferred Group Army Centre and South for the moment. maps were larger and I did not find inconcistencies there. However Group Army North has the tremendous look of the other campaigns but we clearly see it was the very first campaign, the others were more polished. The player is supposed to bring two medical platoons to the hospital to get a decisive victory. Zuletzt geändert von pegww2 am Do 1. Mai 2014, 15:23, insgesamt 1-mal geändert. Lukas - das macht nix. Du übernimmst nur die vier aktualisierten EXE Dateien vom Original PC Spiel. Habe leider noch keine Antwort vom Service, bezüglich der Downloads. Die Kameraden feiern den 1.Mai. Bei Steam gibt es die gleichen Dateien im Original Panzercorps Verzeichnis. Beim Start des Spieles wird die Version unten in der Mitte angezeigt. Voraussetzung für Ostfront ist die Version 1.20 des Original Panzercorps Spiels, sollte auch mit höheren Versionen laufen. Habe gerade die .....4_11.EXE von DMP mit 567.706kB runtergeladen, beim Downloadfenster steht weniger? 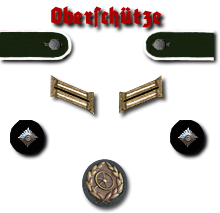 Habe unter dem Original Panzercorps, wo auch die Audio und Data Verzeichnisse sind einen Ordner Ostfront erstellt, die exe reinkopiert und installiert. Panzercorps hatte ich auf Version 1.20 upgedatet. Aus dem Original Panzercorps die vier obigen exe-Dateien kopieren und direkt unter Ostfront zu den übrigen Dateien kopieren. Dazu noch die Main.txt und Panzercorps.txt mit der individuellen Codenummer der Verpackung. Die Panzercorps.exe starten oder über ein Icon auf dem Desktop aufrufen. Ich habe Sprache, Musik und Schlachtenlärm. Zuletzt geändert von U von Schreckenstein am Do 1. Mai 2014, 19:14, insgesamt 1-mal geändert. Dann erstelle zwei neue leere Textdateien mit den Namen und kopiere die Codenummer von Deiner Verpackung, wie im Beispiel rein. Ich schau mal ob ich die exe-Dateien von 1.20 noch kopieren kann. Mit 7-zip gepackt. Version 1.20 bitte nur in Ostfront reinkopieren nicht in das Original Panzerkorps mit der neueren Version.